‘Startuper’s functional smoothies are filled with ingredients that will prepare your mind and body for daily challenges. Nutrient-rich foods like bananas, strawberries, mangos and spinach. Lots of high quality vegan protein. Lots of prebiotic fiber. And our signature combo of 72 ionic minerals from the Great Salt Lake in Utah, USA. On top of that, we’ve added abundant amounts of chia and pumpkin seeds which give Startuper’s edible smoothies that special crunchy quality,’ says Karolis Basevičius, Co-founder of ‘Startuper’s smoothies’. Let’s read more interesting details of the new startup which main target customers are startups! Day up+ ; Smushies (Salvest) offering fruit-based smoothies. There are products that are meant to be refreshed or eaten as a dessert. We present a product that would be an alternative to a sandwich. Packed in portable tubular pouches, Startuper’s ready-to-drink smoothies are the go-to option for ambitious people on the go. Just one smoothie will keep you full for up to three hours. Not just full, but full of wholesome energy, which you will need to pull off your next big business move. So here it is, the great secret behind startup failure and success. A stomach that is empty, or full of rubbish, will take the UP from any STARTUP. 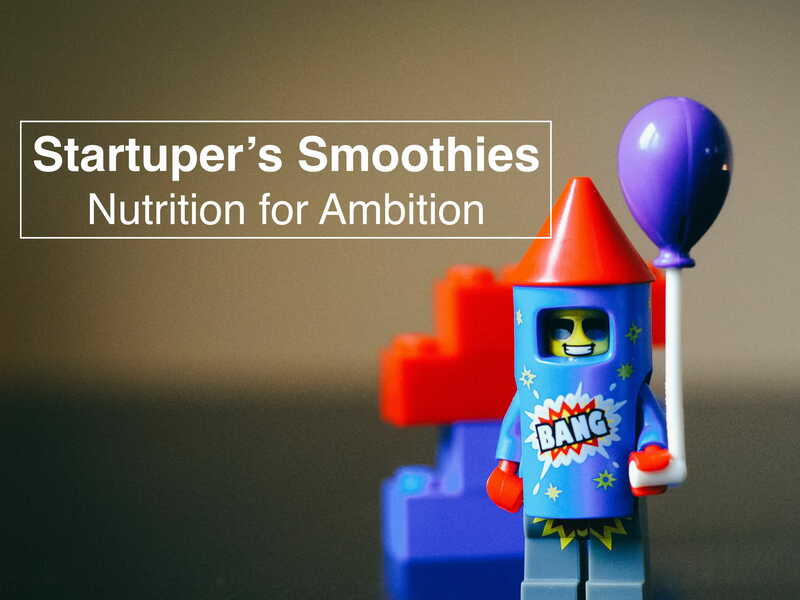 A stomach, satisfied with Startuper‘s smoothies ®, on the other hand, will put you on track to growth and productivity. Our story began with the successfully launched prototype, it happened 6 months ago. The biggest challenges was to derive from the idea to the real product. Because the idea was very complex and the scientist had some struggles to overcome it. They say that nine out of ten startups fail. And they look for reasons. We know the reason! Most startupers don’t eat properly. Glued to their laptop screens for hours on end, the poor chaps and dames are reduced to fast food and sugary snacks. This won’t work. Business empires aren’t founded on take away pizzas and gummy bears. If you are ambitious, you better get your nutrition right. To become a startup sensation, you will need quick, easy and delicious intakes of protein, minerals, vitamins, and fiber. And that’s what we’ve created for you. ‘The main challenges while working on this product was to create a suitable formula, find the best suitable ingredients provider and also, to create a good positioning strategy, to build a successful product! Step by step and our idea is becoming a reality!’ says Lukas Laurinavičius, Co-founder of ‘Startuper’s smoothies’. We are funded by Europe union funds. We have created the formula and now we are working on the prototype. After that, we are planning to take ino – start funding to make the first batch of the final product. Also, we are applied for Invega for a loan to accelerate the business. The team of two friends, who met each other ant the first course of ISM studies. Successfully finished their studies and right now are working side by side. Karolis – I am a creator from my youth. I try to think unconventionally about the ways of solving the challenges. My philosophy in business is based on a simple aspect – team and teamwork. I believe, that fewer people in the team, but much stronger synergy, will bring more benefits to the final outcome (less is more). Lukas – Self-starter, innovation and entrepreneurship lifestyle lover. I have a constant desire to improve and get the job done as efficiently as possible. If you want to grow, you must be keen, believe in a little things and start doing. With a great team and hard work ambition, we are ready to release early-stage “Startuper’s smoothie” to achieve product-market fit as cost-effectively and quickly as possible, overcoming a range of challenges related to scaling and helped to facilitate a number of successful exits. Right now we are working on final tastes. Before that, we have done a survey of 150 people, who tested our product. 73proc. Of them expressed the positive opinion, that would love to buy this product. 18proc. Of them said, that they will buy only one taste from the variety. So, considered the feedback we are shaping the final ones. Nutrition for ambition! That’s how our product screams about the future. Our plan is to spread all around the globe, to help the best startups to grow and and forget 90% of fail probability!